As a Realtor, I love finding new communities in Dallas suburbs before information is released publicly. It helps my clients beat the rush and get in on pre-sale prices. Now some communities may have an advertisement or two but not all model homes have been built in the community. Recently, I had a relocation buyer looking to build a home in the suburbs. She saw a community but wasn’t quite sure of it. We both went to visit it and discovered the three builders in the community. From there, I went on to find more information and which builder fit her price range. We not only found one that did her price range but one that had their upgrades as standard options for her. We had pre-sale prices and even after she built the home out the way she wanted, we still didn’t reach her max budget. Can we say SCORE?! If you follow me on Instagram, you will see that I absolutely love new construction. It is my thing for my clients. I like resale as well but I understand that some clients like the thrill of new. I understand. It is like the difference between new car sales and used car sales. The used car sales are great for your budget and timing. The new car sales come with a sticker price. It is somewhat equivalent to it. I love to help clients build their “perfect” home for now. I placed “perfect” in quotations because there is no such thing as a perfect home. Below are a few communities that I have found while out on the search as well as some from my builder relationships. If you are interested in any of these communities, contact me. Seriously, I always get the question of whether you need an agent purchasing new construction. YES! The sales representative represents the builder. Who is representing you? It’s free representation for you so why not have someone represent you. Agents can help you negotiate the deal, understand what will help you in the resale process (if you are building), and explore your options. You don’t want to get caught up in the beauty of the model homes. Yes, they are staged well and you will be ready to hand over your whole checking account but an agent can help you weigh the pros and cons. So if you are interested in buying a built home in a community or building one, contact me to walk you through it. Lakewood Hills – “New Carrollton” as they as describing it but it’s basically the Lewisville area outside of Castle Hills on Josey Lane and 121 Toll. As of now, I know Pulte Homes and Beazer Homes will be in this community. Willow Wood – Located in McKinney. Builders in this community consist of First Texas Homes, Chesmar Homes, and Bloomfield Homes. Winn Ridge – Dirt hasn’t even been built up yet for this community but it is coming soon. The only builder I can find so far is Centex Homes. Pre-sales start in summer 2017! Windhaven Crossing – Townhome communty by DR Horton and Megatel Homes Pricing has yet to be revealed. Melton Ridge – Located in the Stonebridge Ranch community in McKinney. New homes are being built by American Legend and Shaddock Homes. There will be more updates as I receive them about new communities in North Texas. To sign up to receive more information, head to my website at NewAvenueRealty.com. Find out where I head on Wednesday with my #WOWWednesday posts. I Want A Home…..Maybe a Townhome? 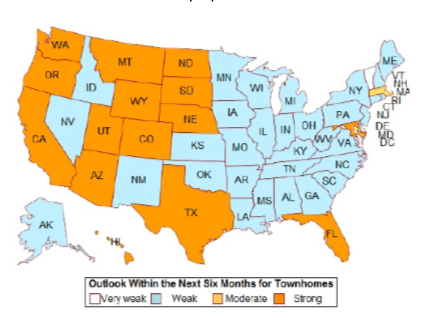 Realtor.com even suggested the long-run prospects for townhouse construction are positive given large numbers of homebuyers looking for medium density residential neighborhoods. In the Denton County area that I work in, townhomes are becoming a big movement. Townhomes are being designed like the normal single-family structure and you definitely wouldn’t know it was a townhome in the inside. I had the pleasure of showing Beauty Vlogger Missy Lynn a few townhomes in Lewisville at The Manors at Vista Ridge. Check out the video below and see what it means to have a townhome as your first home. Brookside is new subdivision built by Megatel. near Highway 121 and Interstate 35. 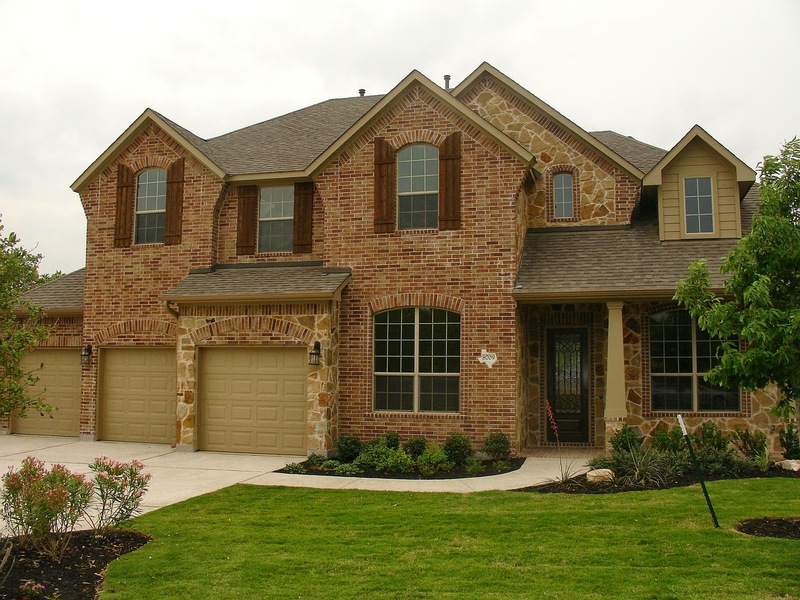 It is a prime location in the metroplex due to its easy access to major highways. South of this subdivision is Highway 121 toll and the infamous DFW Airport. Brookside will be home to 40 residents, surrounded by Central Park. The rolling topography is enhanced by peaceful breezes. Numerous shopping, dining and recreational venues are nearby giving the residents the benefits of quiet living while still being close to big city amenities. Home sites will start at 50 feet wide with varying depths. The homes will range in size from over 1891 square feet to over 3300 square feet. Both one story and two story homes are available. Another new housing developments in Lewisville Texas built by Megatel is Crescent Estates. This subdivision is in central Lewisville off of Main St. The homes have not been built yet but the subdivision is currently being laid out by Megatel. Homes are starting the 330s. The subdivision is within in minutes from Interstate 35 and next to a Walmart, restaurants, shops, Lewisville High School and Old Town Lewisville. This subdivision spells convenience especially for move-up buyers. The Hills of Vista Ridge are the newest development of Pulte Homes. These homes will be ready by Summer 2015 (which is a perfect time for the summer competition of homeowners). The homes sizes will range from 1731 square feet to 3263 square feet. Price is unknown at this time. Location for Hills of Vista Ridge in the southwest region of Lewisville. It is convenient to Walmart, shops, elementary school, Vista Ridge Mall, Highway 121 Toll, and Interstate 35. Highpoint Oaks is a new luxury development of homes encouraging the move up buyers to move up to their dream home. Homes are priced in the 300s in this new subdivision on the cusp of Denton Tap Road and Highway 121 Toll in Lewisville. Highpoint Oaks is situated in the Highest Point of Lewisville, TX; and is right in the middle of anywhere you want to be. Lewisville and the surrounding areas host music and arts theatres, a wide variety of family entertainment options, sports and outdoor activities, golf, and a unique night life found only here in DFW. Highpoint Oaks is located minutes away from lakes, marinas, and is a summer time destination hot spot. The Texas Motor Speedway is a short trip down the conveniently located I-35E Corridor. As a great location for commuters, this community is situated just off of Sam Rayburn Tollway, and minutes from George Bush Turnpike, I-35E, 121, and I-635. Highpoint Oaks community has nearby marketplaces, restaurants, childcare and park facilities, and highly rated public, private, and charter schools. Homes will range from 2,200-3,600 square feet, feature 3 car garages and have single story, two-story, and story and a half floor plan options. The new, innovative designs offer first and second story master suites, or double owner suites. The standard features provided in this Elite Series M/I Homes collection showcase Whole Home certifications and Green Energy Star ratings, trendy decorative finishes, and plenty of options for you to create your dream home. Located in Lewisville, Texas, Wyndale Meadows offers the Lakeside Collection of homes. Wyndale is just 5 minutes from Lake Lewisville and part of Lewisville ISD. Wyndale Meadows continues Lennar’s concept of Everything’s Included® Homes with included features that make every home move-in ready. The mega master planned community of Lewisville is Castle Hills. As this area of Lewisville continues to grow, so does the new housing developments in Lewisville. Homes in Castle Hills range from the high 200s to the high 400s. The new housing developments in Lewisville don’t stop at single family housing. There are new townhome development currently being produced as well. This subdivision could be considered a Lake Lewisville homes. The subdivision is nestled within minutes from Pier 121 Marina. This isn’t a new subdivision since previous homes were built by Wall Homes in 2008. With the the new anticipation of new housing developments, newer townhomes are finishing out this subdivision. Check out one of the homes below. New construction in the heart of downtown Lewisville! The revitalization of downtown is currently underway and will feature new restaurants, dining, shopping, park, mass transit and more! Purchase one of these townhomes now before prices go up. The layout of these units are open with high-ceilings and plenty of natural light. The brick exterior reflects the old charming downtown style and inside they are fully loaded with stainless steel appliances, granite throughout and wood floors…not to mention a full bathroom for each bedroom, plus a half-bath downstairs. The Uptown Village Townhome community will feature a dog-park, walking trail, pool and club house. Live an urban walkable lifestyle in suburbia just minutes from Plano, Carrollton, Denton and close drive to Dallas! This community is almost sold out with 2 units left. The units are priced in the $260s and it is on the cusp of Lewisville and Coppell with easy access to Highway 121 Toll and Interstate 35. These townhomes are starting in the $250s and the square footage is starting at 1901. These townhomes are perfect for those who love to have amenities nearby. Restaurants along Interstate 35, Highway 121 Toll south of the development, and Vista Ridge Mall within walking distance. Lewisville is growing with new housing developments. The lack of new inventory has sellers and buyers alike worried but there are new home construction being built as we speak which will make it easier to find your next home. If you have any interest in one of these new housing developments in Lewisville Texas contact me and I will be happy to help guide you through new home construction sales. You can reach me at 972-813-9788 or atfowler@NewAvenueRealty.